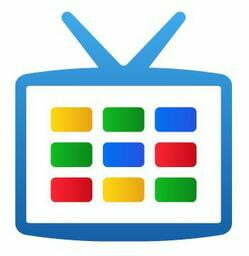 Google continues to face difficulties in getting old media to play along with its Internet TV effort. Major broadcast networks Fox, CBS, ABC, and NBC have all blocked their Web content from being streamed through a Google TV device. And now, big time media conglomerate Viacom has also joined the embargo, stopping the flow of its Web-hosted content to Google TV devices. Viacom’s move has potential to impact a broad swath of Google TV users who have grown accustomed to steaming online videos and TV episodes. The media giant’s holdings include Comedy Central, MTV/VH1, and Nickelodeon. That means for users of Logitech’s or Sony’s Google TV supported devices no streaming of The Daily Show, no The Colbert Report, no whatever-it-is-that-MTV-now-shows, no SpongeBob SquarePants for the kids. Viacom’s eschewing of Google is no real surprise. In fact, the only surprise is that it took so long. The two companies have a less than friendly relationship. In 20007 Viacom brought a lawsuit against Google over alleged copyright infringement on YouTube. Earlier in the year, a judge sided with Google in the $1 billion dollar suit prompting Viacom to announce that it would appeal. In spite of the bad blood, it’s probable that Viacom would be happy to reach a licensing deal to allow Google TVs to access to its Web content. It’s widely believed that media companies are primarily concerned about losing TV ad revenues if their content becomes more widely available through the Internet. A licensing deal that would see Google compensating companies would likely be the quick fix to restore blocked material. For the moment, those affected do have one recourse to get around the blockade: tweaking the Chrome browser’s user agent setting (this also allegedly works for circumnavigating blocked content on other sites as well). However, this workaround is likely to be soon plugged, – as recently happened with Fancast – so enjoy it while it lasts.